This domed Bobber cover for S&S® Stealth air cleaners is a clean small round design that looks great on nearly any style of bike. Fits any S&S® Stealth air cleaner. Fastened by a single center bolt, covers on S&S® Stealth air cleaners are easy to install or replace. Change your style in a matter of minutes. 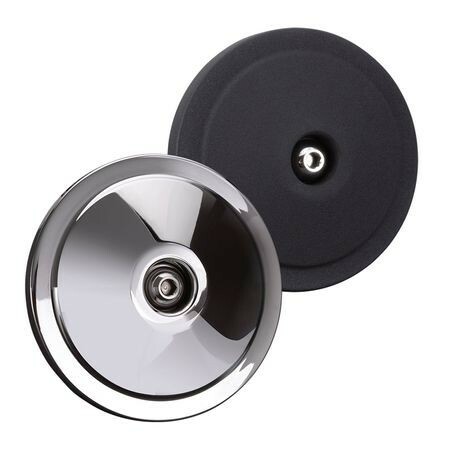 Available in chrome or wrinkle black finishes.